Milano Design Week. 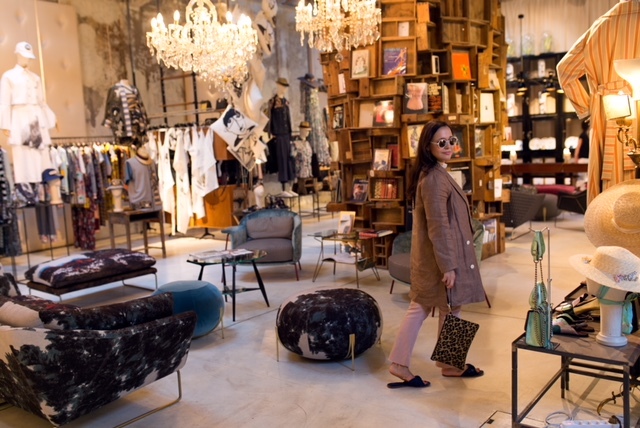 Fuorisalone 2018. One of the most important events in the world of design and architecture was held in Milan from the 17 – 22 April. I always look forward to this week, when the city changes, people from all over the world come to appreciate the new concept ideas of the designers, architects and artists. Innovation, style, the search for a balance between man and nature, creative solutions, that’s how you can describe Fuorisalone in Milan 2018. During this week more than two thousand projects were presented: from the all year season simulating pavilion, to solving the problems of the organization of the city space. It is impossible to visit all the installation in just seven days, but in this article I tried to summaries the most interesting events, places and presentations. Phillip K. Smith for COS. 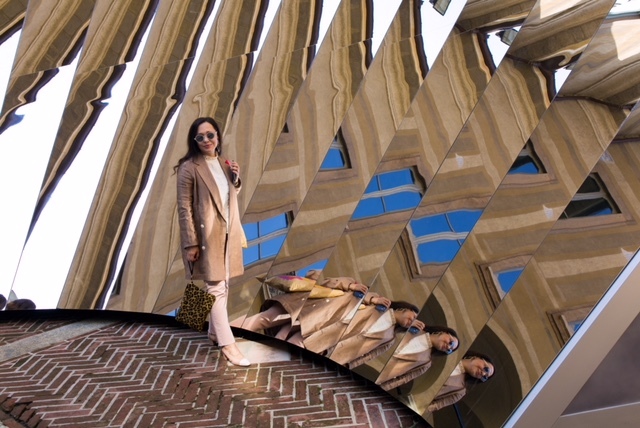 I was a bit disappointed by them this year, but the great advantage is that the mirror installation that Philip K. Smith (American designer) created for the brand, was in the 16th century Palazzo Isimbardi, usually closed for visitors during the days. Floss. 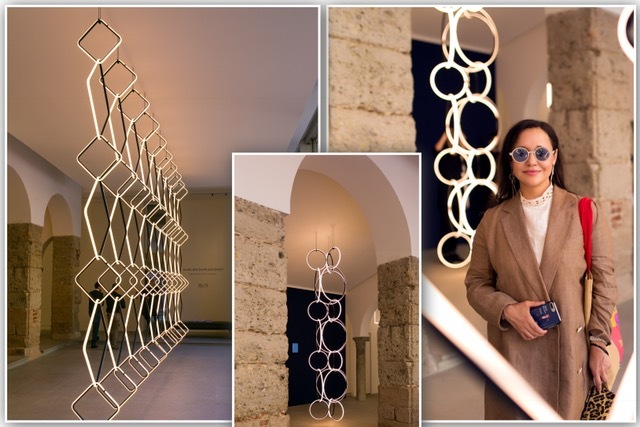 Every day, returning home i walk through the Corso Monforte, passing the stylish illumination boutiques and, of course, I could not help glancing at one of them, at the presentation organized by the Flos brand, during the Fuorisalone week. Dimore Studio. I loved the presentation of the last collections of Progetto Non Finito and Oggetti, as well as the installation in the Dimore studio. It’s not the first time I enjoy the works of this interior studio and every time they manage to surprize me. 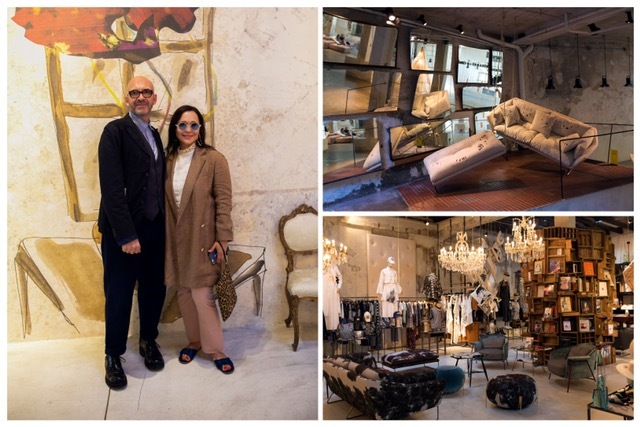 You can visit them not only during the Fuorisalone week, because the interior items are for sale, but during the design week they always organize something very creative and exclusive. 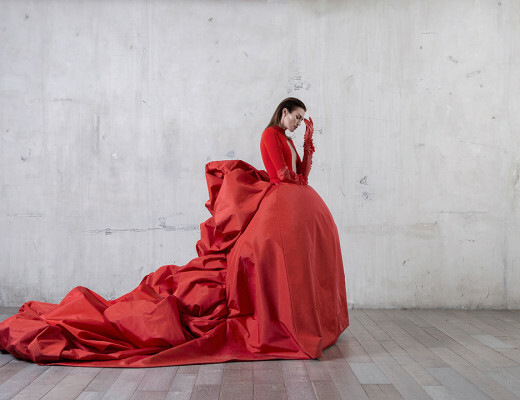 Elle Dеcor presented one of the largest expositions, but very laconic. The brand showed its point of view regarding the organization of space and gave the guests many tips about this topic. And, as a surprise, mini-rooms with a built-in light were organized, where you could take pictures with the smartphone. 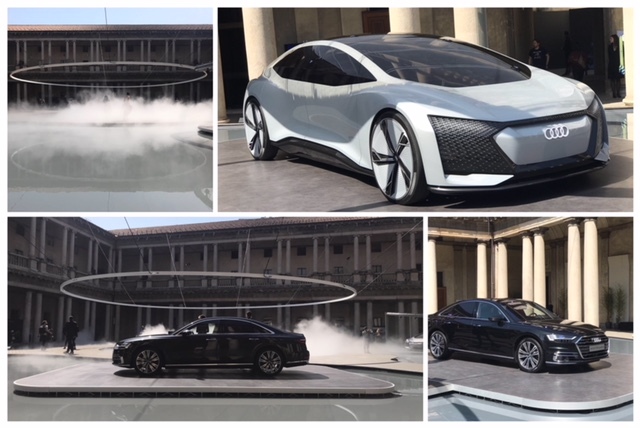 Audi impressed with its scale, style and the opportunity to see the hidden courtyard of Milano city. Antonio Marras. Favorite and lovely Antonio Marras, always manages to organize something interesting in his boutique-studio. His design selection during this edition were the sofas. During the Fuorisalone week a part of his creative fashion studio becomes the restaurant, with a mix of tipical Sardinian cuisine but with the Milan gloss and the unique stile. 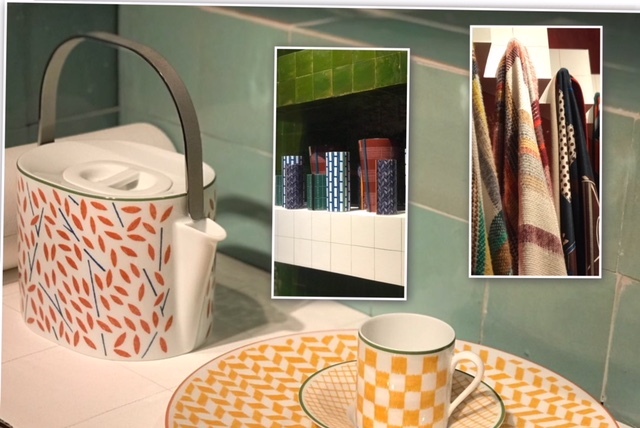 Hermès Maison – is not only luxury clothing, but also the design of dishes and interior items. 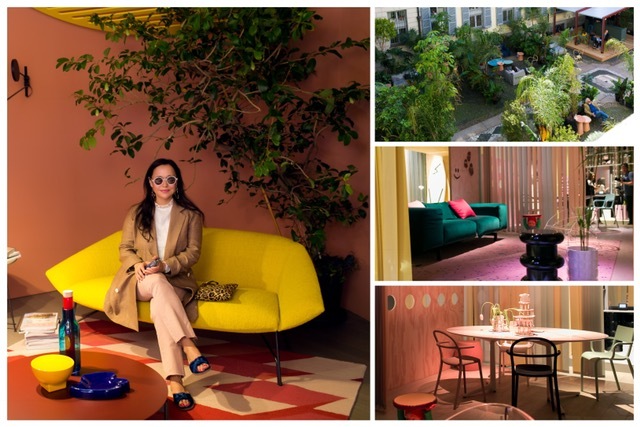 Hermès presented its latest collection of textiles, wallpapers and home accessories in the museum of Museo della Permanente. Decorated with bright tiles, each of the seven rooms represented a specific product. A lot of geometry and green color. 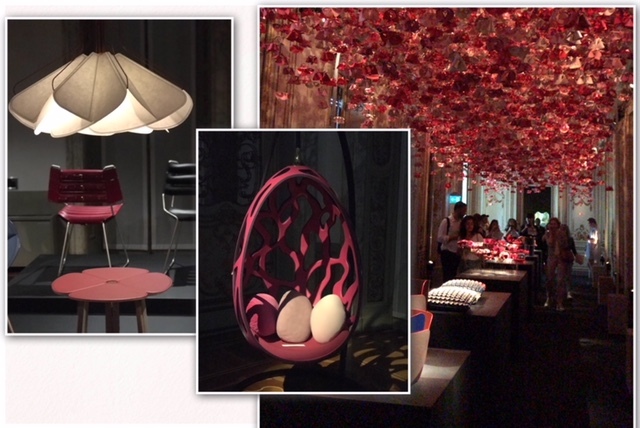 Louis Vuitton showed his collection of exclusive furniture for travelers in Palazzo Bocconi. A bit disappointed with the presentation, the collection of “Wandering Objects” was created back in 2012, so this week’s design had a lot of same elements. 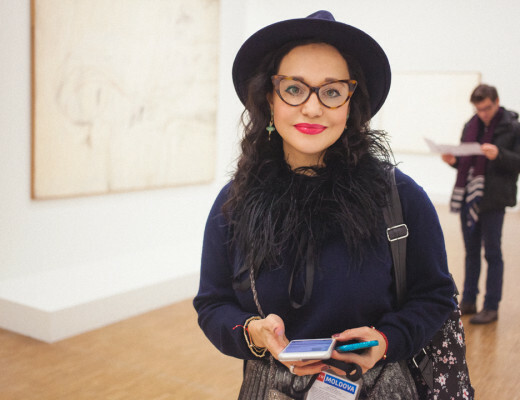 For me the last year’s exhibition was much brighter and more interesting. From the new elements: mirror in the form of a diamond designer Marcel Vanders and double chair Ribbon Dance by André Fu. 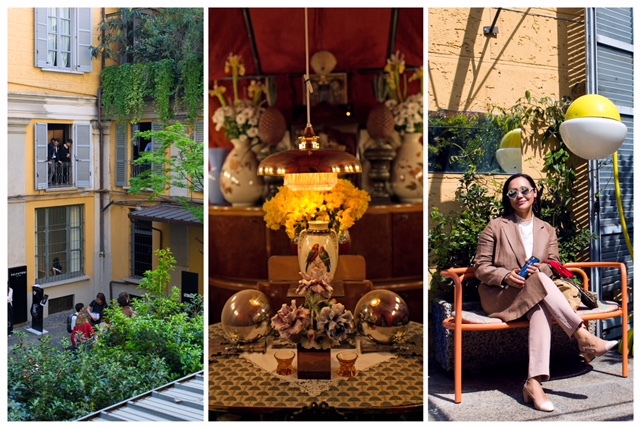 For me, the design week is a breath of fresh air, new ideas for me, as for the stylist. Many beautiful and stylish people, not to mention the locations themselves. These siz days are a charge of inspiration from those who invent, create, give shape to something new. The only problem of this week – the lack of time and the possibility to visit and enjoy all the sitespecific installations. During fuorisalone there were many interesting locations that presented its furniture, accessories, new technologies. As always, I made a selection of the photos. See you next year!